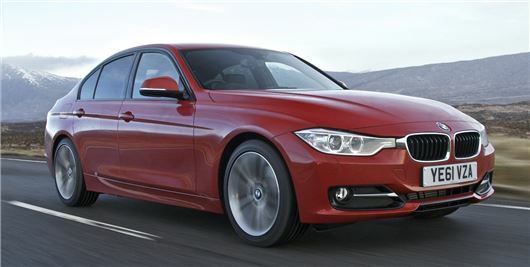 The BMW 3 Series is the UK’s most reliable company car, according to a survey of the 50 largest contract hire and leasing companies. The FN50 reliability survey, by trade magazine Fleet News, analysed the UK’s largest hire and lease organisations, with a combined fleet size of 615,000 cars. The survey is based on downtime caused by warranty claims, recalls and breakdowns per 100 vehicles on fleet. The 3 Series topped the table, with the 5 Series and 7 Series ranked sixth and seventh. It’s the second consecutive year that the 3 Series has been voted the UK's most reliable company car and follows the news from the SMMT that it was Britain's tenth bestselling car in October. Audi was the most reliable manufacturer overall, with a number of its models making significant gains in the 2013 rankings. Indeed, the Audi A4 was the UK’s second more reliable company car, jumping ahead of last year’s second-placed vehicle, the Volkswagen Golf, while the A3 was ranked fifth. The Honda Civic was fourth in the listings, retaining its position from 2012, but Honda has slipped back a place in the manufacturers’ table to fourth, with the improved performance of the Golf and Passat allowing the German brand to move ahead of it. Skoda and Ford only had one entry each in the most reliable cars list, with the Octavia and Focus placed ninth and tenth. Land Rover and Lexus fall just outside the top 10, just ahead of Kia and Volvo.